Meet The Crew of Heroic Ambition! Scott Cranford has had an exciting career in Superhero Entertainment. 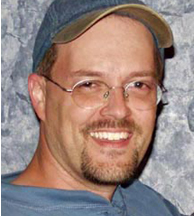 Cranford is the founder of the award winning Heroicworld.com, which features original superheroes created by Cranford. A long time member of the Screen Actors Guild, Cranford has worked on numerous superhero productions from standing in for Arnold Scwartzennegger as Mr. Freeze on Batman and Robin to directing himself as Superman for the fanfilm Power Meeting. The fan film helped Cranford land the role of Superman for the city of Metropolis in Illinois and its annual Superman Celebration. Cranford portrayed the Man of Steel for 8 years. Cranford lives in Los Angeles, CA with his wife Marcella and son Jack. 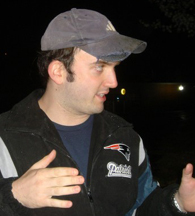 Kevin James is a young film maker from just south of Boston, not to mention a die-hard fan of the Man of Steel. Co-running Not A Tad Bad Flim Co., documenting Plymouth Rock Studios, and being a full time New Kid on the Rock are his most concurrent movie making activities, but he has never gone more than two weeks without a picking up the Last Son of Krypton's newest comic. You can check out his work at Not A Tad Bad Flim Co. , Hollywood East TV, or all over YouTube. 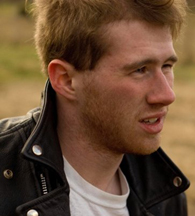 Matthew Sinclair is a freelance professional Filmmaker and Animator located out of Boston and New York City. He attended Fitchburg State College, graduation with a Bachelors Degree in Film, set 2009 with honors. In regards to the documentary, Matthew provided photography and hands on video service. He is currently working as an intern at at Sony BMG Films in Manhattan. Craig Shannon, co-founder of Imagavision Films, has been working dilligently in filmmaking for almost 10 years. He began making films in his backyard with friends for fun and has gone on to shoot and direct documentaries and films on anything and about everything. Currently, he is finishing up the DVD of his latest feature, The Man With Two Faces, due to be available on DVD within the next year. Jeff Cranford is has been a member of the Motion Picture Editors Guild for over twenty years. 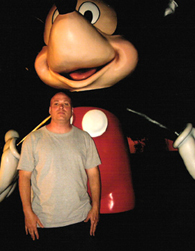 Jeff's career began at Steven Spielberg's Amblin Entertainment on the feature Who Framed Roger Rabbit? He has edited numerous projects for pro skateboarder Tony Hawk, the band Blink 182, Calvin Klein, Duffs Shoes and more. Jeff has edited sound on the hit CBS television series Numb3rs and The Good Wife, and was nominated three times for an Emmy for sound editing on AMC's hit series Breaking Bad. Jeff is currently working on AMC's Better call Saul. 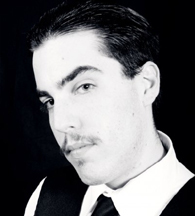 scOtt summitt is a veteran character and improv actor, who has worked in theatre, film, television, improv and sketch comedy. A lifelong Superman fan, he works with Scott Cranford as the webmaster for HeroicWorld.com. As an actor, scOtt has appeared in the indie action comedy Six Days, the award-winning sci-fi web series AIDAN 5, and the supernatural thriller Season of Darkness. He is also the co-creator and co-producer of the web sitcom series Two Doors Down and has directed several award winning short films. 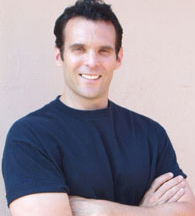 Chuck Harter is a writer, actor and musician living in Los Angeles. He is the author of two Superman related books: Superboy & Superpup: The Lost Videos based on two spin-offs from the Adventures of Superman TV series and Superman on Broadway, which features the Superman Musical of 1966 and it's Star Bob Holiday. Creating art professionally since 1982, former Knoxville, Tennessee native Steve Stanley continues his career as a freelance artist traditionally illustrating on the drawing board and more recently combining his style of art with the addition of digital techniques. Steve's clients have included DC Comics, Time Warner, Malibu Comics, Kenner Toys, Weider Publications, Nascar, IBM and The Metropolis Chamber of Commerce's Superman Celebration. Steve is currently working as an artist for Coke in Atlanta, Georgia. You can visit his website here.